When it’s time to sell your home, you want the best Realtor in the region working for you: someone who not only knows the market but knows the marketing it takes to move your property fast and for the price you deserve. And these days, marketing your home with the most advanced technological tools is essential to getting results. Some real estate companies will try to impress by saying they are on the internet, but anyone who is web-savvy knows that having a website is just the beginning. That’s why we embrace proven technology-based marketing as well as emerging technologies. Here’s a quick look at some of the ways we go above and beyond in leveraging technology to sell your home. 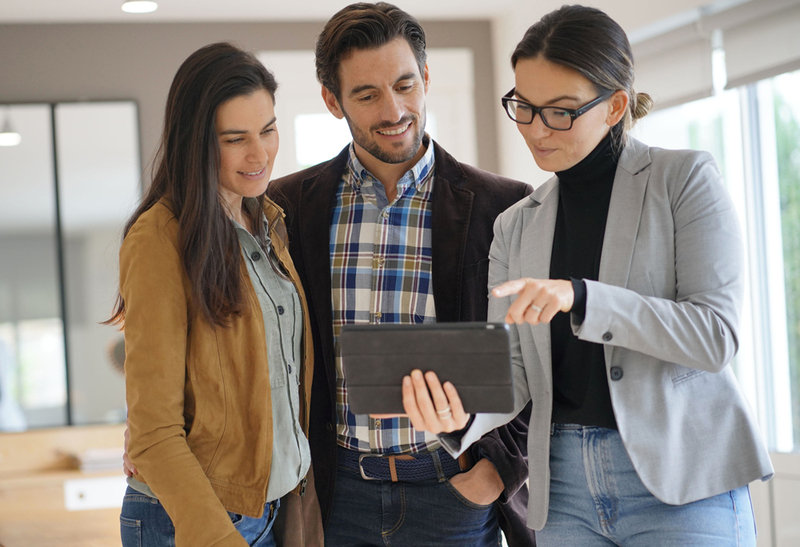 These days, home buyers want access to detailed information about your property at all hours: when they wake up, when they come home from work and even when they find themselves burning the midnight oil. We share your home’s highlights in easy-to access online platforms, showcasing photos of your property and vital information every hour of every day. Home buyers want all the details before they even step foot into a home. So we make it easy for them to see how your property is the right one for them. We build a website for each and every house we market. On that website, we provide all of the data home seekers are looking for: details on the neighborhood and information about schools, as well as statistics and facts. The end result is that you get a higher quality of home shopper in the door. Social media is not only a great way to stay in touch with loved ones, it’s a powerful tool for marketing your home. So we harness the power of social media to maximize reach and reinforce our other online efforts. More, with the detailed intel available to us through social media, we can reach exactly the kind of buyers who are ideal for your property, where they are naturally spending their time online. Marketing your home is about more than informing our circle, it’s about strategic partnerships which expand our marketing reach. So we partner with thousands of real estate specialists on multiple platforms. Sounds awesome, right? Here’s how that helps you: home searchers will have exponentially more opportunities to find your property and learn why it’s right for them. More, we know agility is essential, so when changes happen to your listing, we notify our partners quickly and easily so all listings can be updated. When it comes to selling your property, technology is an essential tool, but it’s just the beginning. Having a trusted partner and expert at your side is vital. That’s why we provide the most comprehensive real estate training in the region to our real estate agents. They’re smart, they’re tech savvy and they’re ready to sell for you. Isn’t it time you put the best Realtors to work for you? When you’re ready to list, we’re at the ready. Contact us today.